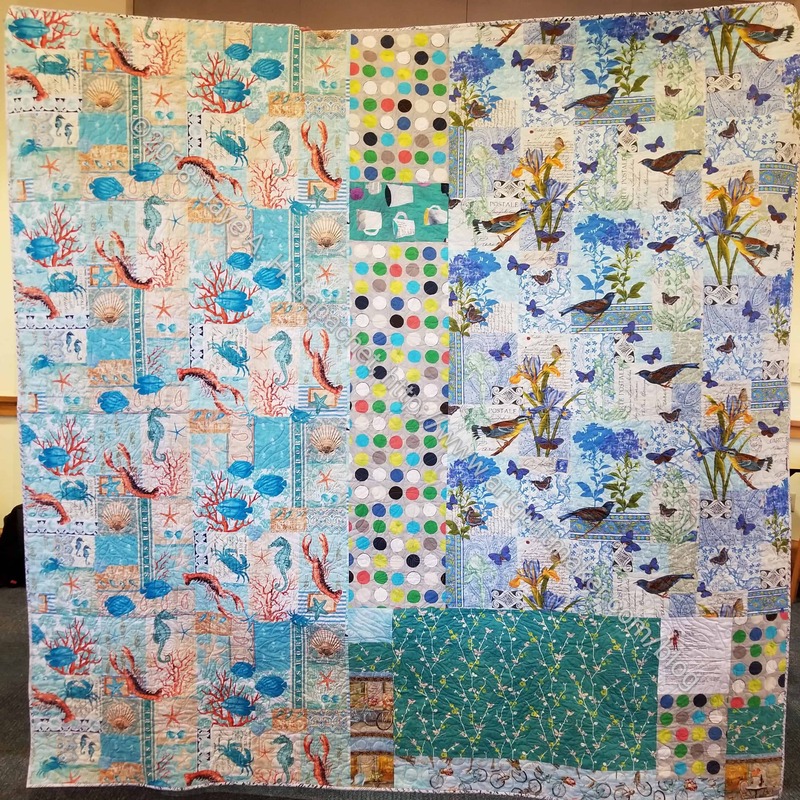 I started binding the Sealife quilt-let the other day. I made a couple of bindings on a Saturday a week or so ago, so they were ready to go. 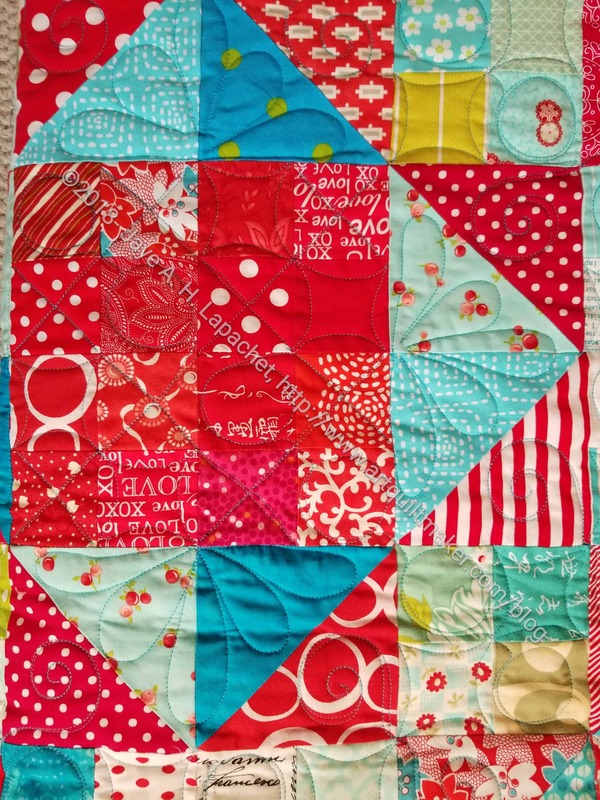 After finishing off the Christmas mat, I got busy on the quilt-let. It is going pretty well. I can’t remember the last time I bound a quilt that had flannel as its backing. I like it. The threads sink right into it. It is a little difficult to get the needle in, but not terribly so. Once that is accomplished the stitching goes easily. I think I forgot to put a label on this one, so I will have to do some hand stitching. It’s been awhile. Yes, amazingly enough, I finally finished En Provence a week or so ago. I am so pleased with the finished product. I am sad that I will give it away, but it will go to a good home who will love it very well. One thing I like about this pattern is that the edges are finished. 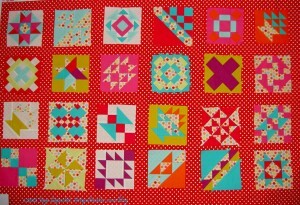 By that I mean my hard sewn units are not cut off as you see in many quilts with weird edges. I like it that my stars have all of their points. Also, I want to make another one. 😉 I am not sure when, but I do plan to make another one. If I select a color scheme I can start any time and use leaders and enders to get all of the units made. I haven’t done any sewing yet, as I haven’t selected a color scheme. I really like this color scheme, but want to do something different. How would it be if I reversed the darks and lights? The back turned out to be very funny. Birds and lobsters? What was I thinking? It is definitely a good conversation starter, that is for sure. I started this on January 10, 2017. You can see all the posts by clicking on the tag. 14ish months isn’t bad, especially when I know I took a long hiatus somewhere in the middle. 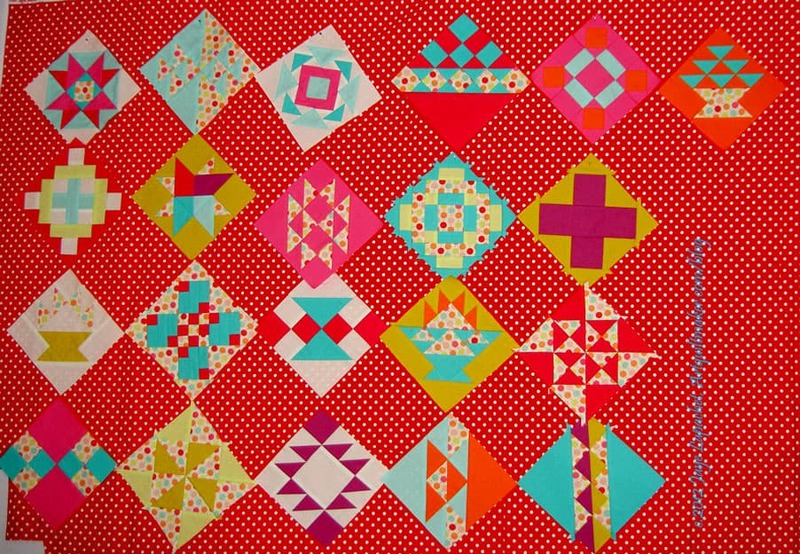 Also, made most of this quilt using the leaders and enders technique. 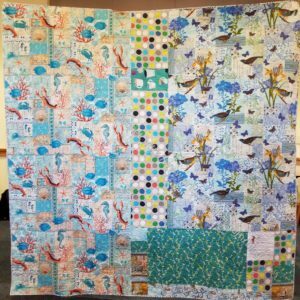 After the Big Stitch class, I started thinking about the BAMaQG IRR project. This is one of the projects on the 26 Projects list that I had low hopes of getting done. Now I feel better about the project’s completion because I think that it would be a good venue for Big Stitch. I talked with Julie about my idea at dinner the other night. I need to square it up, then make a back. 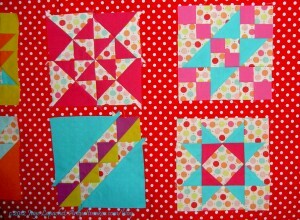 My thought is that I will do some minimal machine quilting and then use Big Stitch to stitch the rest together. 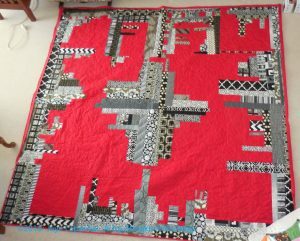 Alternatively, I will just Big Stitch the whole thing and skip the machine quilting. 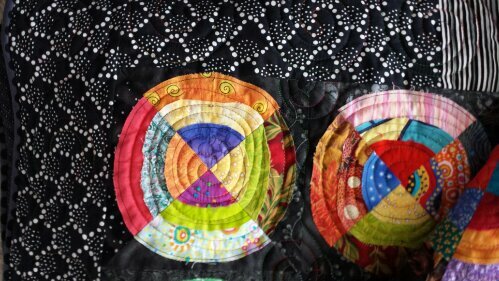 I’ll get it into the hoop a lot faster if I skip the machine quilting piece. I will have to baste, which is a trial any way you look at it. I could use a big hand project like this right about now, so stay tuned. The last time I thought about this project was in June of 2016! I think it is good to attend a class and have it stay on your mind after the class ends. Flowerburst returned from the quilter about a week and a half ago. I have had so many other projects going on that I haven’t had time to post about it. I haven’t really worked on it either, so there hasn’t been much to say. 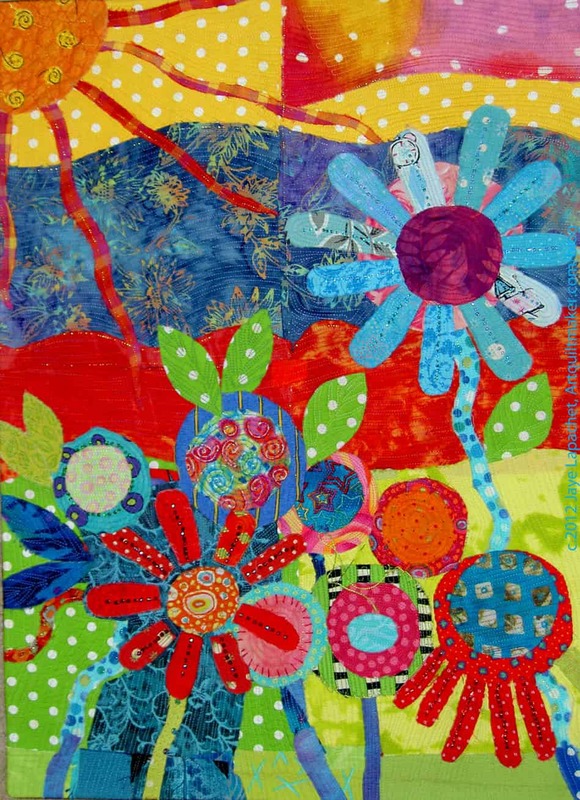 As you might remember, Flowerburst is a large quilt made from a pattern in Kathy Doughty’s book, Adding Layers. I wrote a review about that book. Have you read it? The photo is a little odd as I had to lay the quilt out on my living room floor and take the photo from the upstairs hallway (I have an open plan, mid-century modern house). 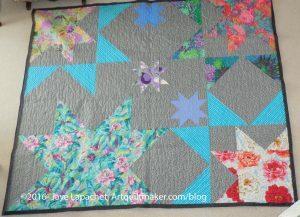 When I get my other quilt hanger back from college and the quilt is bound, I’ll take another photo. This was supposed to be a quick project and it was relatively. 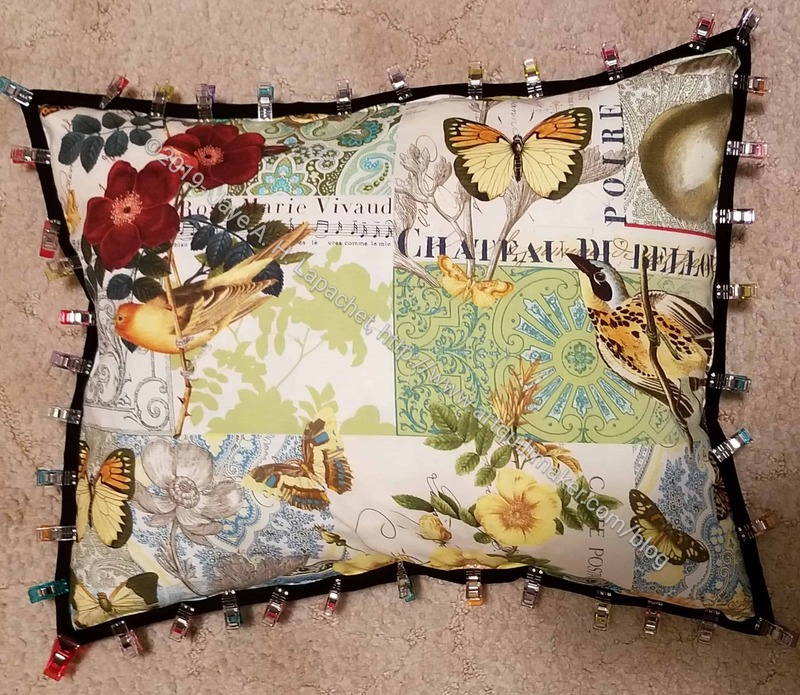 I didn’t like the directions, mostly because I had to conserve fabric, so I used different methods to cut the backgrounds, which meant I didn’t have as many leftovers as I would have if I had used KD’s methods. I understand the reasoning behind her cutting directions: she had to write directions for everyone not just for me, the person with the fabric shortage. 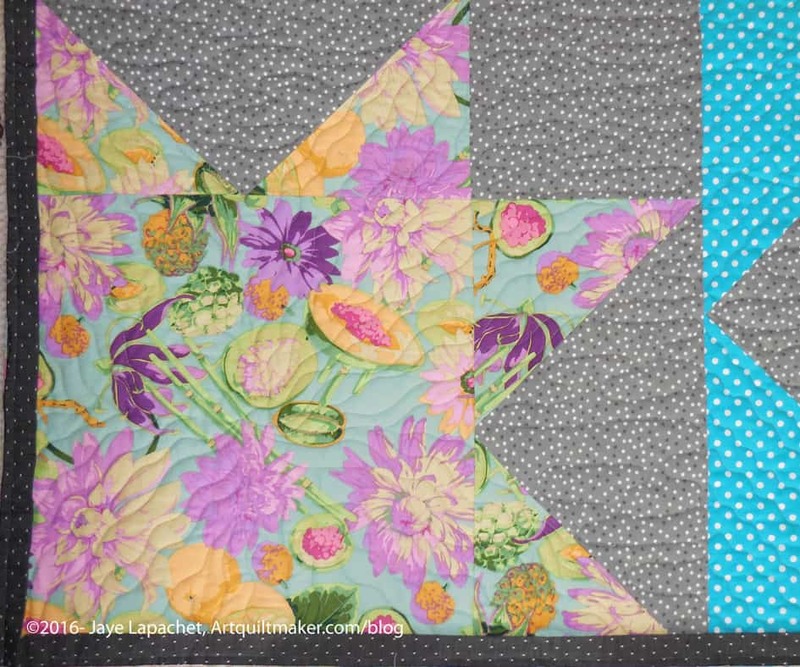 I like the way this quilt turned out. I liked using my big prints on the front for a change even though I will be gifting this quilt and won’t get to see those lovely prints very often. 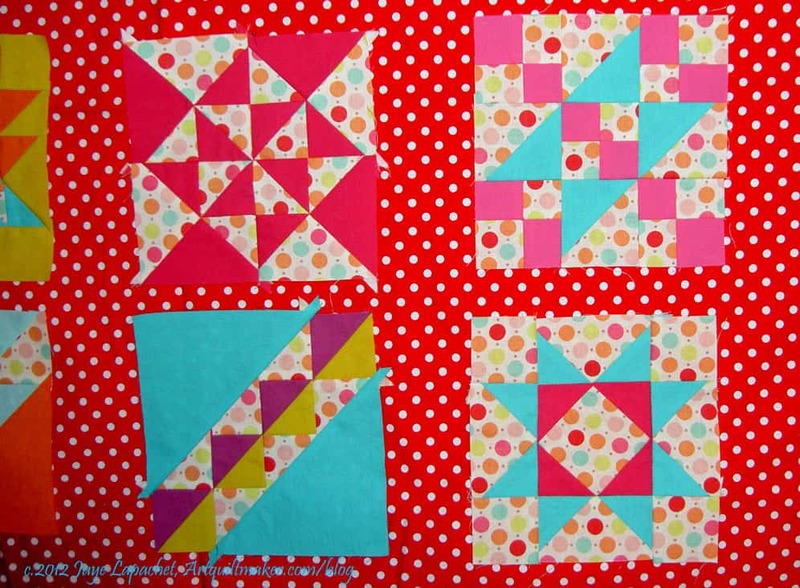 I really like the idea of combining different sized blocks and think this, or a variation of this, pattern has potential for other layouts. 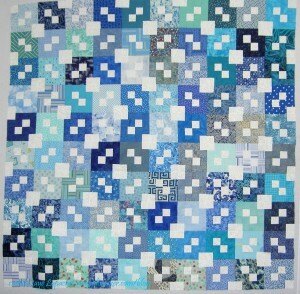 I am thinking that a slightly larger block in the center with the smaller block would have worked as well. I think there could have been some transparency work as well, if I were willing to do a larger quilt. A couple of the prints are Martha Negley prints, but they go so well with the Philip Jacobs prints. 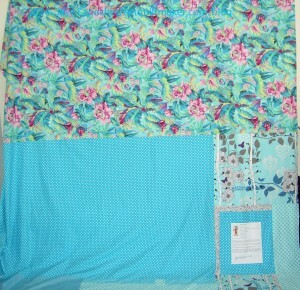 The print on sea green with the flowers and melons is a favorite and was close to being a dress. I decided at the last minute that I couldn’t risk a melon ending up on a breast or buttock! I do love those flouncy lavender flowers, though. I also love the cantaloupe color combined with the sea green. I don’t remember seeing that combination before and will have to remember it in future. 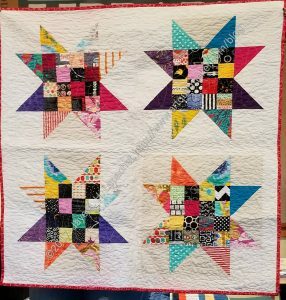 Finally, Colleen did a great job on the quilting. I wanted her to highlight the stars and she did different designs in each one and they look great. I can’t wait to bind this and see what my niece thinks. A week or so ago, I wrote my first Various & Sundry post for 2016. 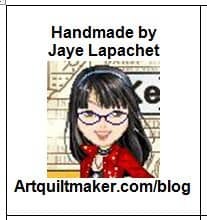 In a comment, BAMQG pal, Annemarie, asked about quilt labels. It occurred to me that I had been meaning to write about quilt labels for a long time and I hadn’t yet done it. First, I think quilt labels are VERY important. They document the work of women who are not being paid to make things. While you may think that women and their work are valued, I think that we have a long way to go to have handwork (even by machine) valued as much as something such as, for example, a technology infrastructure or a new and successful app. It is a small story, but a story nonetheless. It can be the starting link of a chain. Third, for bags and small projects, I have a small label I print out in batches of about 20 on a page. It is not personalized to any particular project, but it lets people know who made the item. I even put these on ATCs. 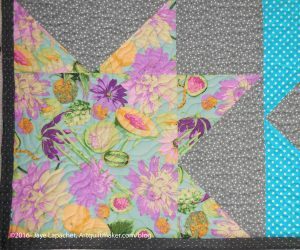 While simple and not unique, they can link a small item to my larger quilts. These would be perfect to make on Spoonflower and I might just do that. Fourth, ALL quilts are important even the baby quilt you whipped up overnight for a baby who came early. The child will look at the label, wonder at and ask about it when s/he is old enough. 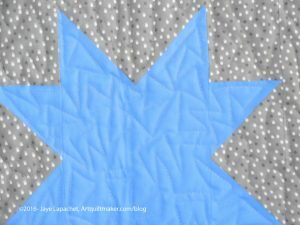 I did a little meditation on quilt backs a few years ago. Since I put my labels on the back, is relevant for this post. You may want to take a look. 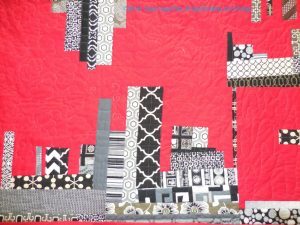 Name and company of the quilter who quilted the quilt for me, starting with “Quilted by” or “Longarm quilted by”. Sometimes my name is in that spot. I feel it is important to differentiate the piecing from the quilting. 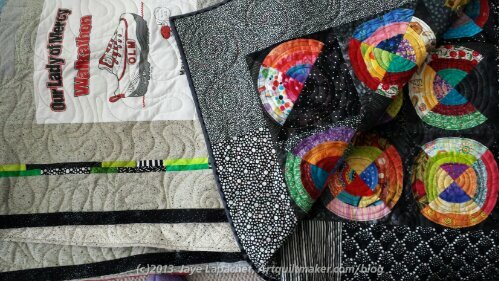 If many people worked on the quilt, I include their names. This may help historians build connections between me and my guild mates in the future. Sometimes I will include the pattern name. If I got the pattern from a publication, I will include that and note changes that I made. If the quilt was made for a show or exhibition or in response to a challenge, I put it on the label. Again, it helps make connections. Yes, the above is a LOT of information. My labels are frequently very large – taking up most of an 8.5″ x 11″ sheet. This is the information I would want to know if I came across a quilt in an antique store. I often write up the label as I go along, so I only have to do some editing when I am ready for it. 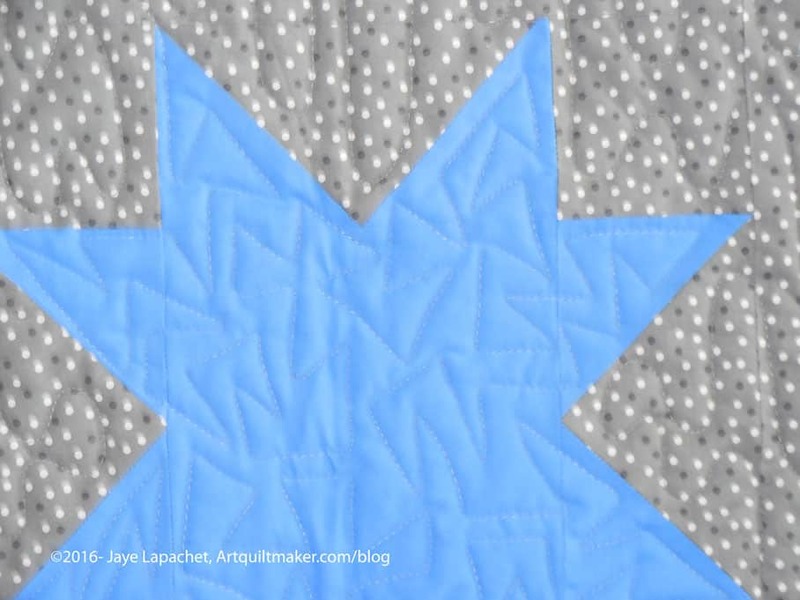 use stitch lettering on your machine to write out label information directly on to the quilt. print a test page on a piece of paper to check for color and clarity. My mom’s car was broken into and my niece’s quilt, which was coming to me to be bound was stolen. It had been made at a shower for her mom and many people had drawn, colored and written messages for my yet-to-be-born niece. 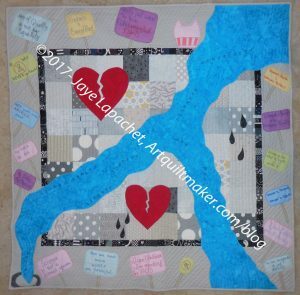 The quilt was a wonderful scrapbook of heartfelt love and was never recovered. It is one of the saddest events in my quilty world. I sew my quilt labels into the back of the quilt before the quilt is quilted. 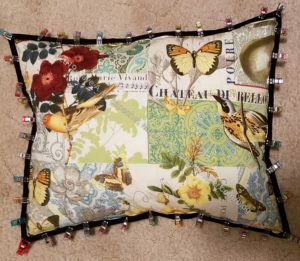 I do not applique’ labels onto the back after the piece is quilted. Yes, that means piecing the back. Yes, the quilting can make the words look weird, but I want people to know the maker and owner of the quilt. If the quilt is stolen, then the thief will have to destroy the quilt to remove the label. I think this is unlikely, but in a sick kind of way, I would rather have that then someone passing my work off as their own. If they don’t care, then perhaps every time they see the label, they will feel a little bit ashamed. I have one quilt that is unlabeled and there are no photos of it. It isn’t a horrible quilt or anything and I do keep meaning to do it. I just don’t seem to get around to it. If I die before I do it, nobody will know anything about it, which is sad. I really dislike making labels and quilt backs. I do it, because I truly, deep in my heart, believe it is important to document my work. If you don’t feel that labels are important, then you don’t have to make them. 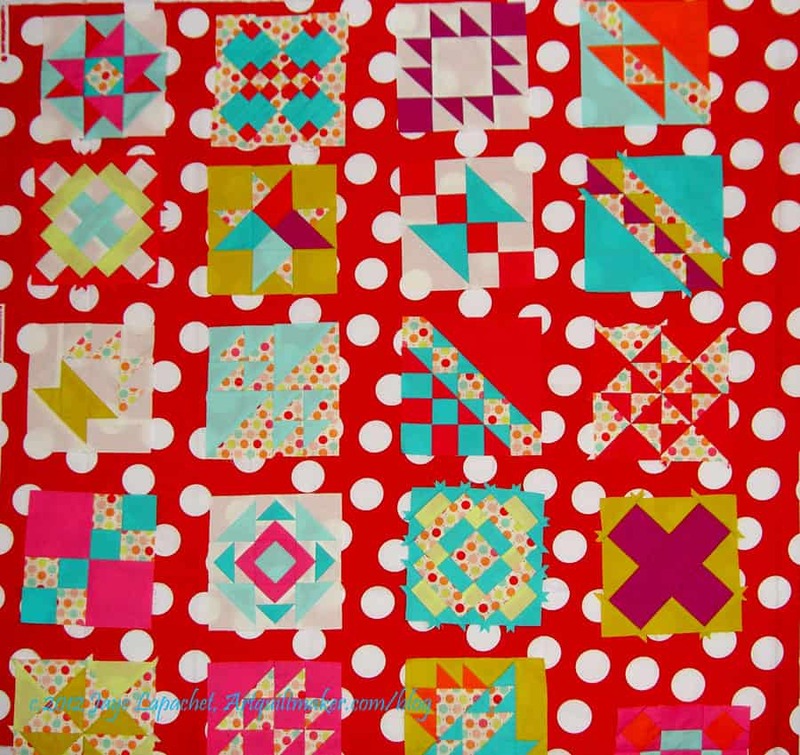 The above is not a call to arms, but information on how and why *I* label *my* quilts. This is a small sample of the myriad of information available. 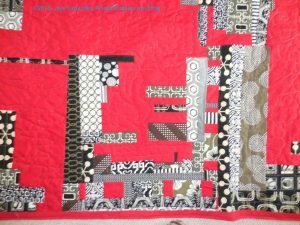 For more resources type “quilt labels” into Google and look at the massive amount of resources and images that are retrieved. Everyone has a different process. Find what works for you. I hope that, later this week, you will see another finish. I went and got two quilts from Colleen last weekend while we were out car shopping in her neighborhood and both are ready for binding. I decided to sew the binding on the Original Bullseye first since that project has hung around much longer than the T-Shirt quilt. Also, I am planning to give the T-Shirt Quilt to the Young Man for Christmas. He hasn’t noticed it has returned, which means he isn’t clamoring for it, which means it will be a great gift. 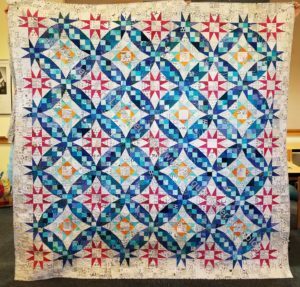 Colleen did a really nice job on the quilting of this piece. It is flat as a pancake despite all of the bias edges of the circles. Colleen sees a lot of quilts so I was very pleased when she, and her Mom, Elaine, complimented me on the border. That is a border that is a pain to make, but very effective. I discussed the making of it in a previous post. 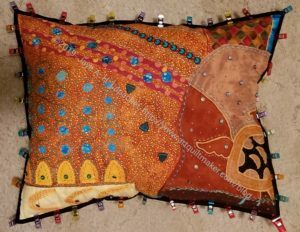 I wanted to show the detail, because of the quilting. I told her to do something basically all over, but not to ignore the difference between the t-shirt ‘blocks’ and the sashing. I am pleased with what she did. I said previously that I thought this piece was finished. I took it out on Friday in order to decide for sure and decided to put a facing on it and prepare the piece for finishing. The photo, left, shows the front with the facing applied by machine. I am sad that some of the edge detail was lost in the seam allowance. I’ll have to remember to plan better next time. This piece didn’t need as much beading as the others I have done. I am not sure why. Laziness might be a factor, but the riot of color and fabric definitely draws attention to the elements of this piece. I don’t think it needs much detail to draw the viewer in. I am a little sad about these small pieces. I really don’t have anywhere to display them, but would really like to have wally large enough to hang all of them. I am particularly fond of the back. 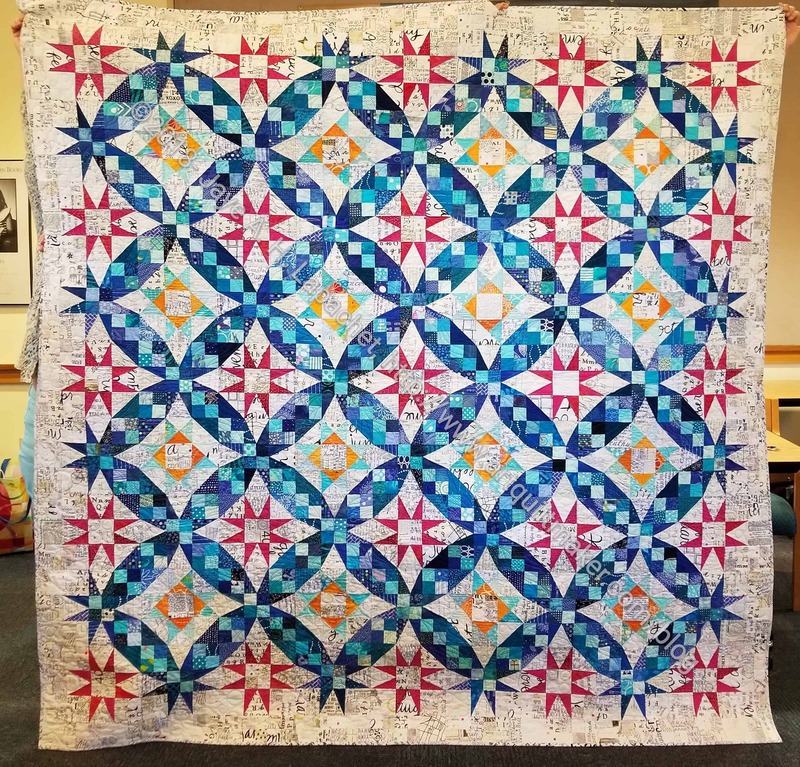 I used different colors to quilt and intended to cover up the back with a fake, but it looks so nice that I could barely stand to cover the edges with the facing. Now I need to stitch down the facing and make the sleeve. I have a lot of cards to write for Christmas, so I don’t know if I will be able to finish this before the end of the year, but that is definitely my goal. Now I feel like I can work on some of the other smaller pieces on the 26 Projects List. Perhaps I will do a blog post about each one as well? 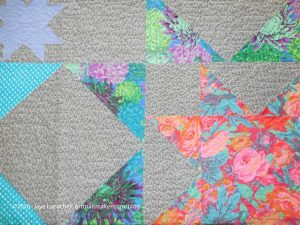 The first picture in this recent post by Camille Roskelley (I just can’t stay away from her blog! If she posted 10 times a day I would be reading all the time and not going to work, cooking for my family or washing my hair) made my eyes pop out of my head. 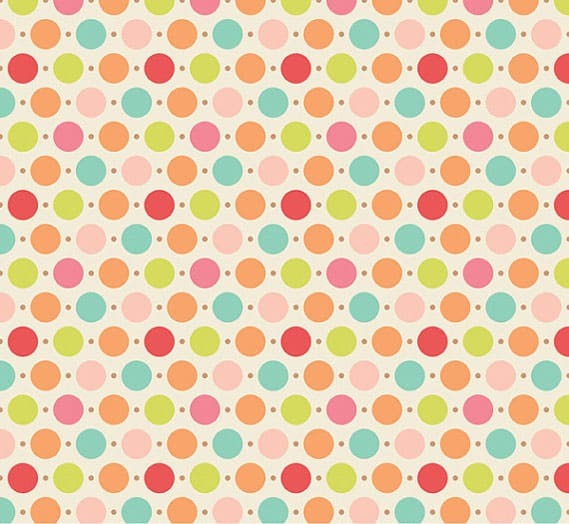 I know you have gone to look at the photo and are thinking “well, yeah, it is a polka dot, you love polka dots, Jaye, big whoop.” Why my eyes popped out of my head when I saw Camille’s work is because of sashing. Yes, dear readers, sashing. Remember that I was puzzling over sashing options for the A-B-C Challenge earlier this week? 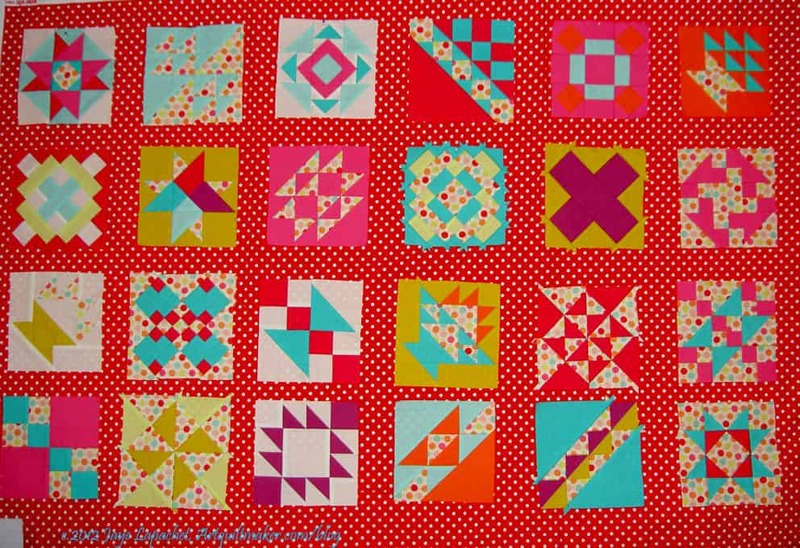 The whole time I have been making these blocks I have been lamenting that Pat Bravo did not include a really good red in the line. I gnashed my teeth further because the Zoe Pearns dot has a wonderful red in it. I have lots of red and white dots. My idea may not work (make visual decisions visually!!! ), but right at the moment I feel brilliant. I love this big dot, but I don’t think it works with the A-B-C Challenge blocks. The color is ok, though. It is hard to say, though, because the large dots interfere with the blocks. I think it might be from the Half Moon Street collection, but am not sure. I think the smaller dots are better. This fabric is from the Sevenberry (?) collection. I am not sure, though. Not quite right. Why? I don’t know. I do have a large enough piece, though, so perhaps I will go with it just because of that. Bad reason to choose a sashing, though, I know. 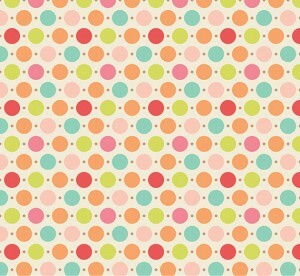 Still, I liked the smaller dots, so I looked for another. A mini fabric avalanche (fabri-lanche?) gave me another idea. 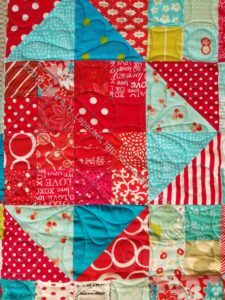 I thought, perhaps, the problem was that I was trying out the fabrics with a straight set, so i got out a different red and tried the blocks on point. Some of the blocks, like the baskets, look ok, but most of the blocks just look weird. It is probably just that I have been looking at them in a straight set, but I don’t like the on point set. 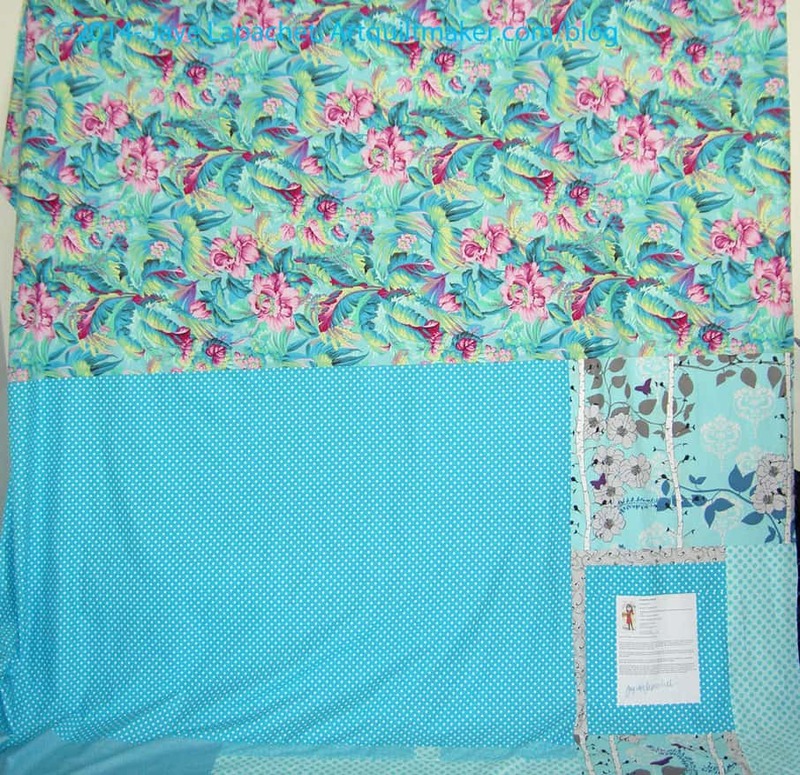 Here is the same fabric, but in a straight set. I like it, but the red is very strong. A lot of what I like is the idea of the red. I like using a strong color for sashing and background. 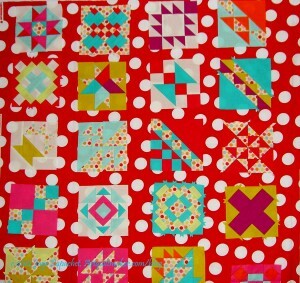 I also like the idea of bringing out that little red in the Zoe Pearns dots I mentioned above. It might be a dumb idea, because you can even tell. I can’t tell even when I standing with my nose next to the design wall. 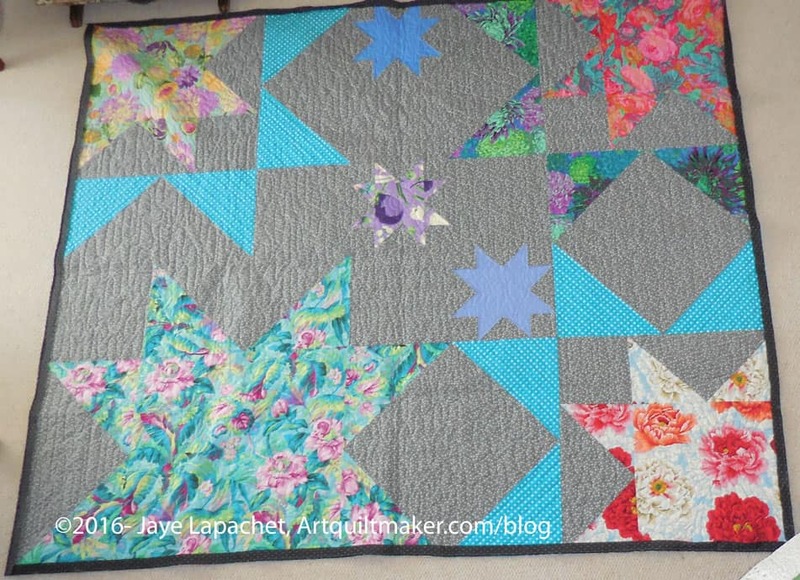 More quilt drama. 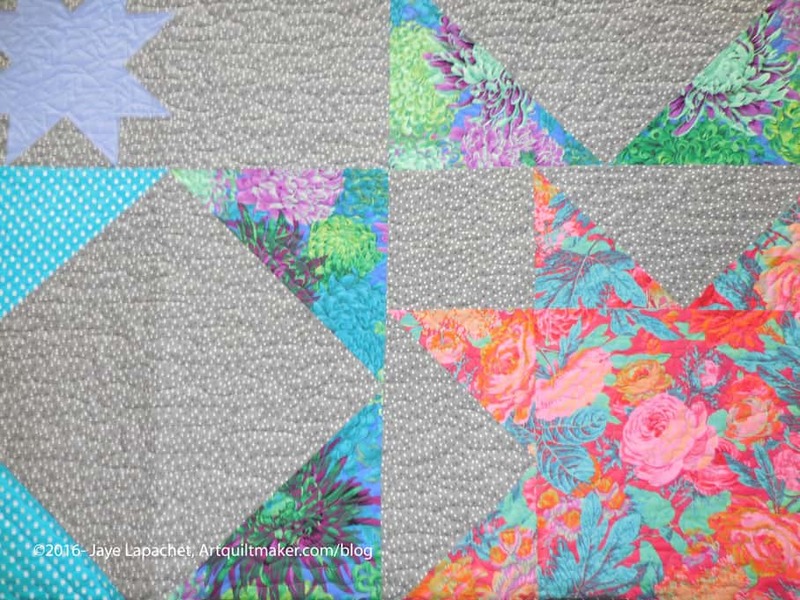 I am glad I am working on this now, because if I had 5 minutes one weekend to sew these blocks together and I was trying to do this, I know I would make a bad choice and have to live with it. 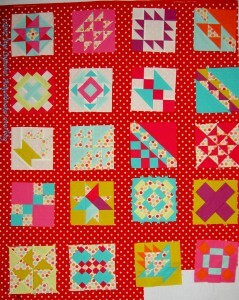 I thought you might like to see a close up of this fabric with the blocks on it. 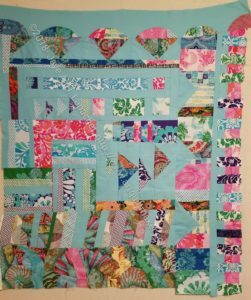 Of course, there are a lot of other factors that will affect the final outcome of this quilt: width of sashing, width of binding, arrangement of blocks (beyond straight or on point set), etc. As much as I hate to say it, after all of the drama and hand wringing over red above, I think this grey is the winner. The blocks look really good. The grey is not too brown. The blocks stand out and do not blend into the background. All the colors look good. The grey is not as stark as a white. The problem is that I have to get more. I found some on Quiltshops.com and PayPal wouldn’t let me pay. Even if I decide to go with the red, I can use this grey for something else. This photo is old news for you, but I thought it should be shown, so I could tell you that I have finished the back and you would know that the two of them go together. I still have not decided what to do about the border. 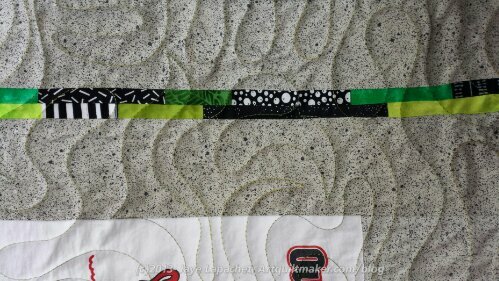 It is possible that I will leave the grey border and just bind it with the striped fabric that every liked best. I have time to decide; it is not at the quitlter yet. 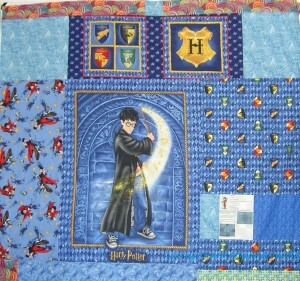 Some time ago (years, perhaps), I bought some Harry Potter fabric. 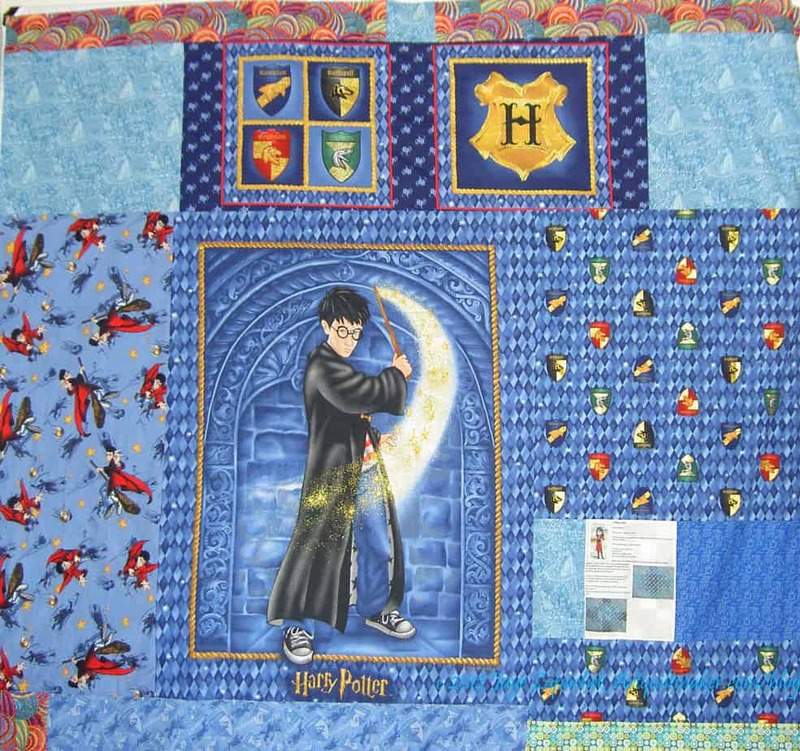 I bought it make something for the Young Man when he was in the throes of his Harry Potter mania, but then never made it. Renditions of beloved characters are never as imagined, though the Young Man didn’t seem to care. As this quilt will go to one of the nephews, I thought it would be a good opportunity to finally use it. He is just about to start reading the books, so I hope he will like the back. I spent Sunday (a week ago) making the back. While I made the back, I tried to be calm about it. I didn’t want to make another back, but I also did not want to be angry about making the back. Angry when I am sewing? 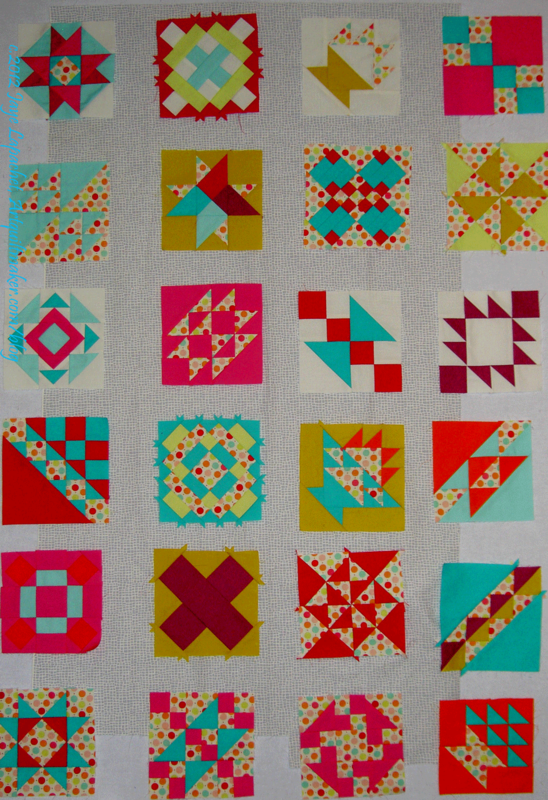 Odd, I know, but as I mentioned, performing the same parts of the quiltmaking process over and over gets tedious after awhile. 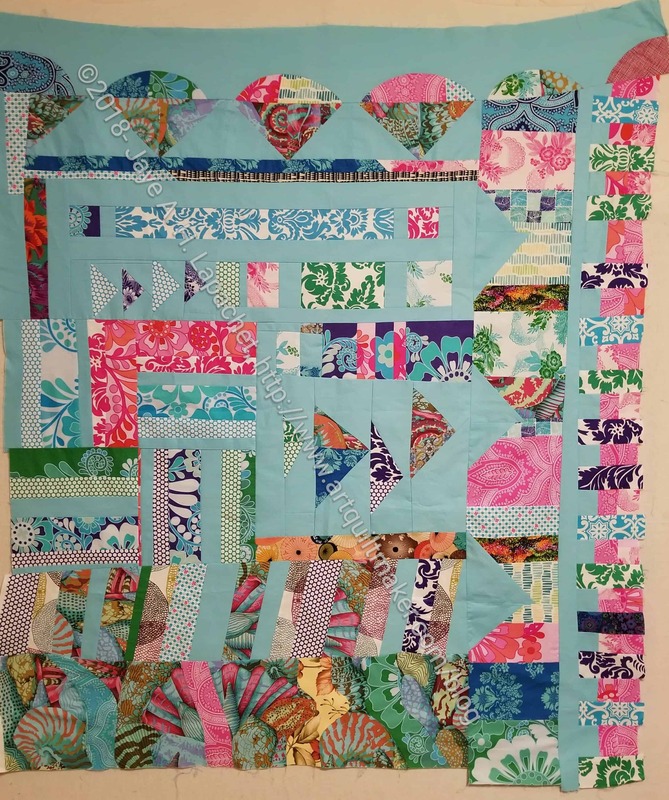 I could have put this quilt away again and waited to do the back, but, instead, I decided to just making it and move forward. I really do see benefit in making up backs and bindings as soon as I am done with the top. It makes the finishing process so much easier. Also, the pieces were large, so I didn’t have to fiddle too much. I was able to sew quite a lot of donation squares together in between sewing the back. That was gratifying.